The W20 Foundation’s Team Up 4 Community Program would like to take this opportunity to thank everyone who participated in our 2018 L.I. Holiday Sports Heroes Challenge. The work our youth athletes, teams, schools and organizations are doing to make a difference in the lives of others is commendable! By showcasing this great work together we are assisting in inspiring others to give back and make a difference in their communities! This Holiday Challenge recorded 10,834 athletes performing over 29,517 hours of community service! This is valued at an economic impact of $249,420 given back to our communities! Thank you again for your time and CONTRIBUTION. Wishing you and your families a very happy holiday season!! 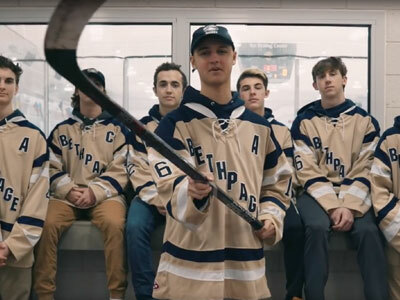 The Bethpage Hockey team held a benefit game to raise money for pediatric cancer at Cohen’s Children’s Hospital, in honor of their teammate who was recently diagnosed with cancer. 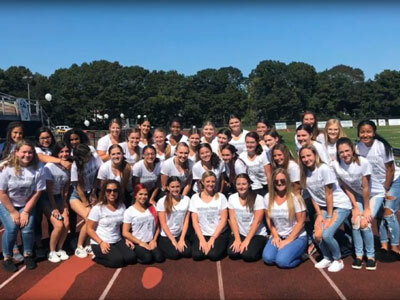 William Floyd Cheerleaders raised $1,000 for Stony Brook Lung Cancer Center and Volunteered at their Local Head Start Program. 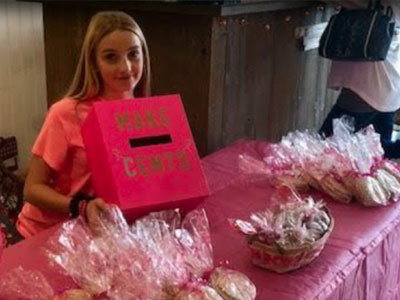 Mia Smith an 8th-grade student at Howitt Middle School began a fundraiser, Make “Cents” Out Of Breast Cancer because she wanted to help those fighting this terrible disease to become a survivor like her mom. Looking for a way to GIVEBACK? Consider Hosting a Toy Drive for Angela's House. Help Medically Fragile Children on Long Island have a better Holiday! During the 2018 Holiday Season and the Spring of 2019, athletes, teams, schools, and organizations involving athletes can upload a community service project to www.TeamUp4Community.org with a VIDEO and details of their work for a chance to receive a scholarship or grant. $5,000 in total will be awarded each VIDEO CHALLENGE. You can help FUEL THE MOVEMENT here on Long Island and Support the Work the W20 Foundation's Project Team Up 4 Community is doing to help thousand of Long Islanders in need! Your voice, your message, your social media presence can all be a powerful tool to assist in FUELING THE MOVEMENT of the Nassau vs. Suffolk Challenge. By spreading the word in your conversations, through emails , even joking about it on media can assist in encouraging more of our youth athletes in learning the valuable impact of community service! 3. Check out our community partners that can assist you in ways to volunteer and make a difference!